What is prepaid wireless? The answer to this question might seem obvious for those already familiar with the history of the no contract wireless industry. While prepaid, no contract wireless has had more and more awareness in the mainstream in recent years, it surprisingly still has common misconceptions and general lack of clarity and confusion. I still find it very common for friends and family who, although they are familiar with the terminology, don't specifically understand how it works, or its benefits compared to postpaid. I've been saying this for years, and now it's clearly obvious that prepaid is starting to dominate the cell phone industry. 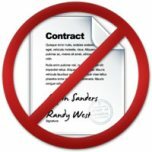 The benefits of signing a contract is clearly disappearing! To explain "what is prepaid wireless," this section focuses on the primary difference between prepaid and postpaid plans, which is the payment method. To learn about the benefits and advantages, you can check out the Why Prepaid Wireless? section, which goes into a lot of detail that I'm sure would be of interest to you. It's About When You Pay! It's easiest to think of prepaid wireless as a payment option. So when you think about the question "what is prepaid wireless," think about paying for services before you use them, or pay-as-you-go, and no overages are possible. You could easily think of it as being similar to a gift card, and comparing it to a credit card, which in this case would be the counterpart to a postpaid plan. In other words, when using a credit card, you make the purchase first (ex. buy some groceries), and at the end of the month you receive a bill for what you spent in the previous month. Then you've got a couple of weeks to pay your bill before you start incurring interest and/or penalties. So, at the heart of it, you don't need to have the money at the time of purchase; you can pay for it later. On the flip side, when using a gift card, in order to pay for your groceries, you have to have enough money available on the gift card at the time of purchase. In other words, you don't receive a bill. This is very similar to how a debit card works, however, with features like overdraft protection, and other such tools, the example becomes a little less black and white. So essentially, before you can make a call, download a ring tone, buy a wallpaper, or consume any other service, you have to have the funds available in your prepaid account balance. So with a postpaid plan, if you make an international call, or go over your minutes, you'll be charged on your next month's bill. With prepaid wireless, you must have those funds available at the time of use. If you don't, your call will be cut off when you run out of funds, or you won't be able to make the call at all if your prepaid account balance is already at zero. Although this does have its disadvantages (i.e. getting cut off in the middle of a chargeable call), you don't have to worry about large, unexpected bills at the end of the month. The reason why prepaid has been taking off in an incredible way is its deserving evolution away from the stigma that plagued it since its inception. It was originally targeted towards low income, or people with poor credit who couldn't qualify for a contract. That, coupled with lower end phones, made it undesirable in the mainstream. This is clearly no longer the case as you'll discover on the many hundreds of pages on this site! You should now feel comfortable explaining to your friends "what is prepaid wireless." If there is anything at all that is unclear, or any questions that you have that I can help with, please don't hesitate to Contact Me. Lastly...Believe it or not, there is a way to get yourself into trouble by actually [getting suckered into] signing a Prepaid Wireless Contract! And checkout: Prepaid Wireless Companies - Are They Scamming You With Their Brands? What's the difference between Month-To-Month Versus Prepaid wireless? Home › What Is Prepaid Wireless?